Barentsz gin embodies the “pioneering spirit” of its namesake, the Dutch Arctic explorer Willem Barentsz. 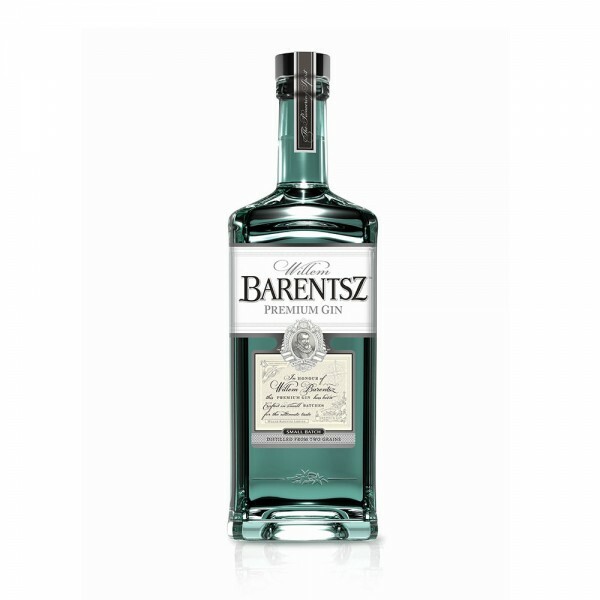 Barentsz London Gin boasts an exotic but delicate balance of botanicals sourced from the far ends of the world. A split-base gin based on a blend of two different grain spirits - wheat and rye – Barentsz has a smooth and clean flavour, enhanced by the signature botanical of exotic jasmine flower. Combined with classic botanicals of juniper, coriander seed, angelica root, orange peel, almond, liquorice, cassia bark and orris root, this gin is sweet and aromatic on the nose, with the jasmine giving way to soft citrus and piney juniper on the palate. An elegant, dry and well-balanced finish – try as an alternative to vodka in a bloody mary or as the base in gin cocktails including a refreshing update on the G&T.